Virtual cockpit development renders have been posted from the Sikorsky S-92 project for X-Plane. Garry Summons from UK2000 has announced Cumbernauld Xtreme Airport (EGPG) for FSX and FS2004. The Airport Guys have posted the first development renders from Myrtle Beach International Airport (KMYR) for FSX. New development pictures have been posted from the Antonov An-28 project for FSX. QualityWings has posted another sneak peek from the virtual cockpit of the BAe146/Avro RJ for FSX and FS2004. Turbine Sound Studios (TSS) has posted another preview video from the Boeing 737 CFM56-3B HD Sound Package. Orbx is putting the finishing touches on the soon to be released Skagit Regional Airport (KBVS) for FSX. Flylogic has announced development of St.Gallen-Altenrhein Airport (LSZR) for FSX. Cera Simaircraft has released the officilal trailer to the Bell 222 for FSX. View at YouTube. 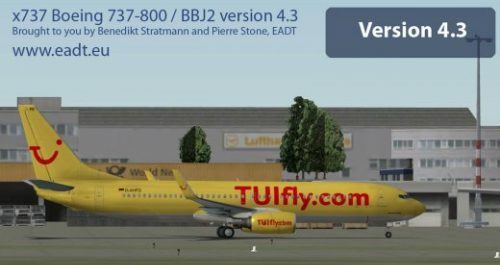 HiFi Technologies has released beta build 649 of Active Sky Evolution for FSX and FS2004. - Increased speed of DWC write for quicker wind, visibility, pressure and temperature smoothing changes, which should avoid “lagging” ambient conditions when making quick descents to landing. Dreamfoil Creations has posted two more preview screenshots from the Robinson R22 for X-Plane. The developers of Take On Helicopters have posted more information and the features list from the upcoming simulator. TropicalSim has released Cibao International Airport (MDST) for FSX and FS2004. Purchase at SimMarket. Onet Valley has released Yangon Intl. Airport (VYYY) for FSX. Now available to purchase at SimMarket. Pacific Islands Simulation has released the Kingdom of Tonga - 3 Domestic Airport Extensions for FSX. 76m or higher resolution terrain mesh compatible. Pacific Islands Simulation has released Tonga - Fua'amotu Intl. Airport (NFTF) version 2 for FSX. Available at SimMarket. Altered photoreal waterclass to render proper color shades at northwestern end of Tongatapu Island. Removed default lights causing aircraft "sinking" effect at domestic terminal area. Replaced with custom lights. Removed flickering building at domestic terminal area. An updated version of the freeware Ilyushin IL-12 for FS2004 is now available to download at AVSIMrus. More preview images have been posted from the San Pedro de Atacama (SCPE) project for FSX and FS2004. Free G.E. (Google Earth) Flight Simulator has been updated to version 0.7. More information at G.E. Flight Simulator. Orbx has posted new preview images from the upcoming Alice Springs Airport (YBAS) scenery for FSX. Orbx has posted various preview pictures from the upcoming Anacortes Airport (74S) for FSX. FSDreamTeam has posted the first preview screenshot from Los Angeles Intl. Airport (KLAX) for FS2004. Fabjo has posted the first screenshots from the upcoming freeware VFR Airfields Austria X scenery for FSX. Robert S. Randazzo from PMDG has announced delays on SP1 and the 600/700 variants of the Boeing 737NGX for FSX. Akesoft has released the long-awaited freeware Foronda-X Airport (LEVT) for FSX and FS2004. The first preview pictures from Xi'an Xianyang International Airport (ZLXY) have been posted in the AI-China Forums. Aerosoft is celebrating its 20th anniversary by offering 20% off most products. Valid 30th September to 7th October 2011. JRollon has updated the Bombardier Canadair CRJ-200 for X-Plane to version 1.20. Details in the JRollon Forums. -Added sounds from Turbine Sound Studios to the CRJ200. -Corrected APU fuel consumption (didn't use any fuel before) and inhibit APU start when fuel in feeder tank is insufficient. -MAC only: transition to a new compiler and SDK, improving overall fluidity by better optimizations. These optimizations require at least OSX 10.6 Snow Leopard to work. Eiresim London Luton Airport (EGGW) for FSX is now also available to purchase at SimMarket. A_A Sceneries has released Samui International Aiport (VTSM) for FSX. Details and purchase at SimMarket. to have rain effect (water reflection), and bump mapping. with cars that available in Thailand, shopping mall, terminal and the detail inside. -Service vehicles in parking ramps. of the hill near the landing of runway 35. -The entire island shoreline has been corrected and landclass has been added. -Surat Thani mainland shoreline has been corrected and Mu Ko Ang Thong National Park has been built. So you can fly to see their beauty of the nearby islands. IRIS Flight Simulation Software has posted a beta test video from the upcoming Silence Twister for FSX. Orbx has posted a few more preview pictures from the soon to be released Skagit Regional Airport (KBVS) for FSX. Orbx has released patch version 1.1 to Fall City Airport (1WA6) for FSX. Available at the Orbx Support Website. Baja Sim has posted nighttime screenshots from the La Paz, Baja California Sur (MMLP) scenery for FSX and FS2004. 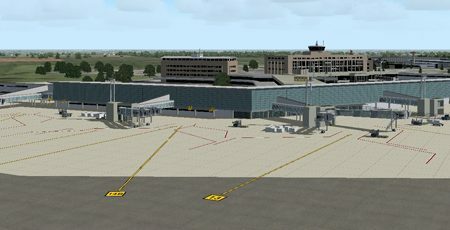 Orlando Veas has released the freeware Viña Del Mar Airport (SCVM) for FSX. Download at AVSIM. Andrea Bertolucci has posted new preview screenshots from the Milan VFR 2010 scenery project for FS2004. Blueprint Simulations has released version 2 of Ezeiza International Airport (SAEZ) for FSX and FS2004. Aerosoft has posted new preview pictures from the Digital Aviation Bombardier CRJ700 for FSX. Aerosoft has updated Corfu X (LGKR) for FSX to version 1.10. View Product Page. Eagle Rotorcraft Simulations (ERS) has updated the freeware Embraer EMB120 Brasilia for FSX to version 1.1. Carenado has released the Beechcraft F33 Bonanza for X-Plane. Details at the Carenado Website.